You reach the ripe old age of 47 and think there aren’t too many things that can surprise you any more. And then something catches you out unexpectedly. 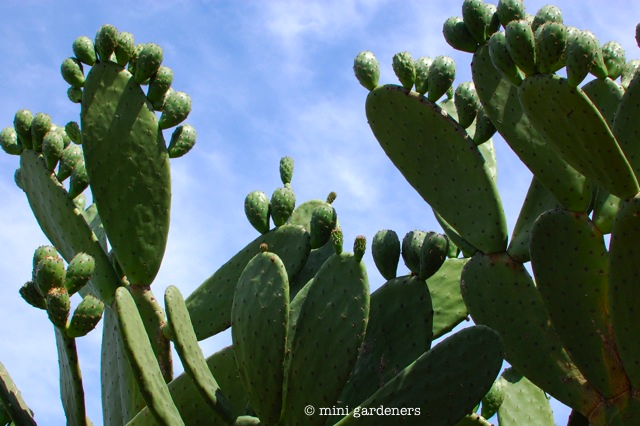 We chanced upon these prickly pear plants growing wild in Spain and were chuckling over how they resembled chubby toes on feet (strange feet with so many toes but you get the picture). Then we turned the corner and spotted this. 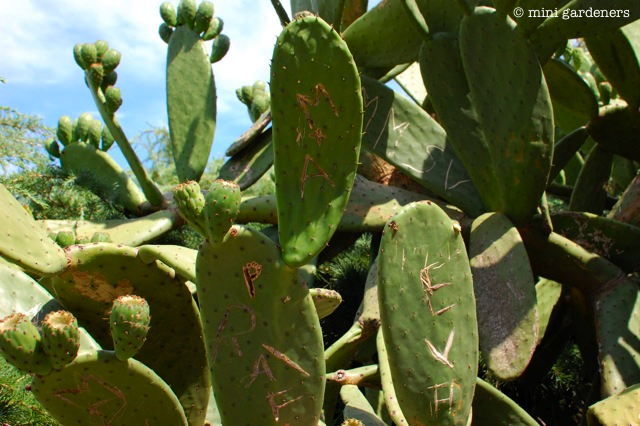 Plant graffiti. Whatever you do, don’t show your children this photo or your garden will never be the same again.